Roger Henn, Ouray, Colorado native, relates tales of early miners, lost gold mines, life in the tiny San Juan mountain towns, boyhood adventures, and other delightful and informative lore about past times in the San Juan Mountains of Southwestern Colorado. 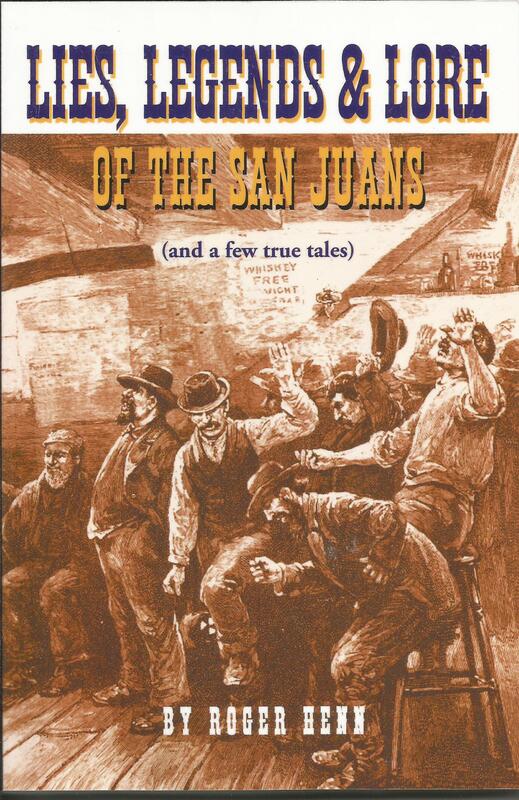 He also spins tall tales that have been handed down in the San Juans for generations. Now these wonderful stories have been captured in print. The forty-three tales include: Our Friend the Murderer--The tragic story of Billy Nagle. Silverton's First Cat--Early settlers had trouble keeping cats alive at high altitudes. A Lake called Lenore--One of Ouray's exclusive areas is named after a prostitute. The Mystery of the Copper Mining Tools--Just how old are they, a hundred, possibly a thousand years old? The Lost Swede Mine--A lost treasure still waiting to be found. Snow Snakes and Snow Mosquitoes--Do they really exist? And much, much more.